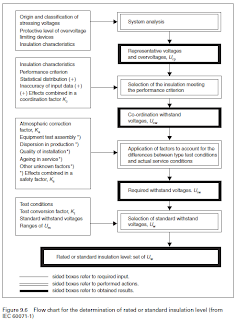 The detailed procedure for insulation co-ordination set out in IEC 60071-1 (European standard EN60071-1 is identical) consists of the selection of a set of standard withstand voltages which characterize the insulation of the equipment of the system. • Continuous power frequency voltage (the highest voltage of the system for the life of the system). • Slow-front overvoltage (a standard switching impulse). • Fast-front overvoltage (a standard lightning impulse). • Very-fast-front overvoltage (depends on the characteristics of the connected apparatus). • Longitudinal overvoltage (a voltage between terminals combining a power frequency voltage at one end with a switching (or lightning) impulse at the other). • a complete statistical distribution of peak values. The next step is the determination of ‘co-ordination withstand’ voltages – the lowest values of the withstand voltages of the insulation in use which meet the system or equipment performance criteria when subjected to the ‘representative overvoltages’ under service conditions. • contingency for other factors. This results in so-called ‘required withstand voltages’ – test voltages that must be withstood in a standard withstand test. In specifying equipment the next step is then to specify a standard test withstand voltage (a set of specific test voltages is provided in IEC 60071-1) which is the next above the required withstand voltage, assuming the same shape of test voltage. A test conversion factor must be applied to the required withstand voltage if the test voltage is of a different shape to the class of overvoltage in question. 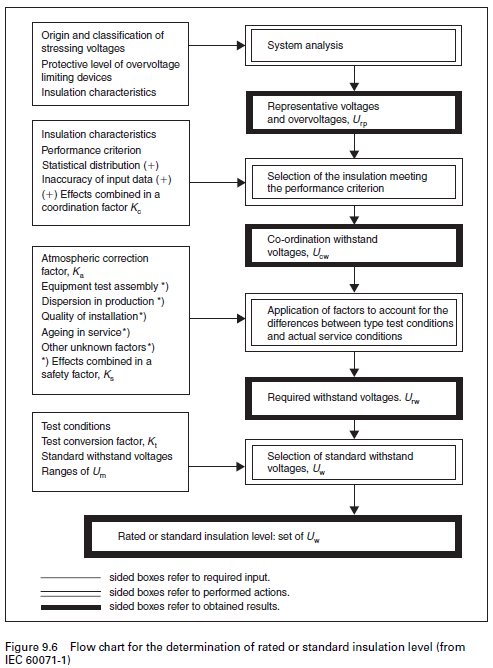 Figure 9.6 sets this procedure out in diagrammatic form, and full details of what is involved with each step is provided in IEC 60071.